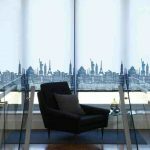 If you are reading this article then chances are you’re wishing to find light blocking solutions to stop the sun from shining into your bedroom window in the mornings. This would be especially desirable if you have a south or east facing bedroom window, or if you have young babies and children who get up at the crack of dawn. Perhaps you’d just like a lie in on the weekends and hate being woken up by the sun in your eyes. Some streets now have LED streetlights put in and the bright white light from these can disrupt sleep at night. There is no way of blocking out light 100% even with a blackout lined curtain as light will find its way through the sides where the curtain meets the window, and at the bottom where a long curtain meets the floor. Light may also flood in over the tops of curtains especially if they are hung on a pole or track. However, most of the light CAN be cut out by fitting the curtains to a ‘concealed track’ or a ‘board, track and lathe’. These are suited to bay or straight windows and offer the best light control solution for bedrooms. Light is blocked by the board at the top. 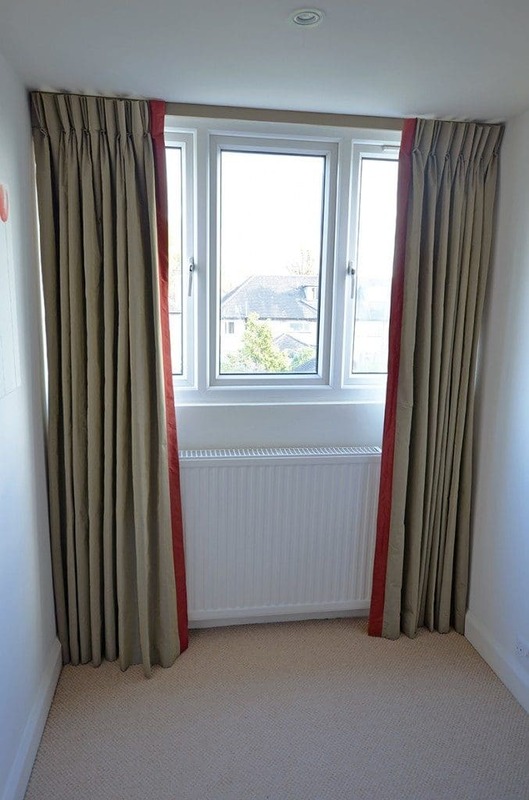 The curtain must be made to measure so that the gaps are covered at the sides. These are called ‘returns to the wall’. 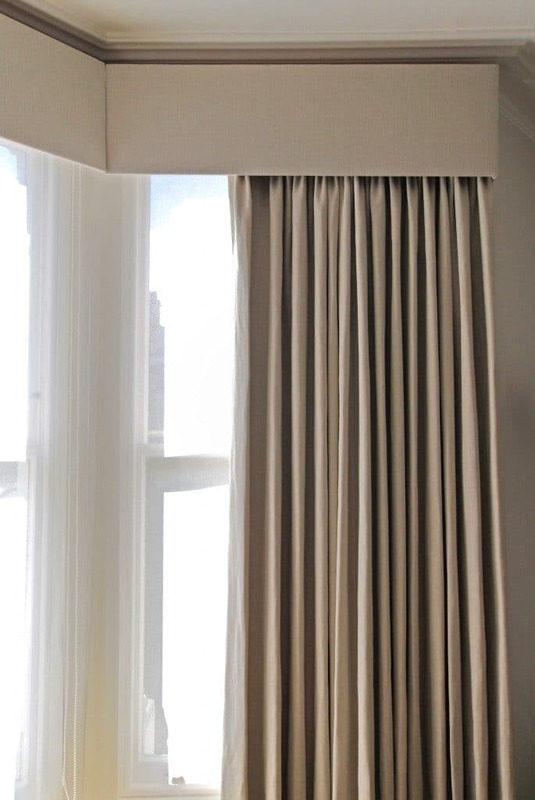 In addition, using the right kind of metal track only a professional fitter will be able to supply and fit, the inner edges of the curtains should also cover each other. That is to say, one inner edge of a curtain will move behind the other on the ‘arms’ of the track. This is a very neat solution for many period homes with bay windows. 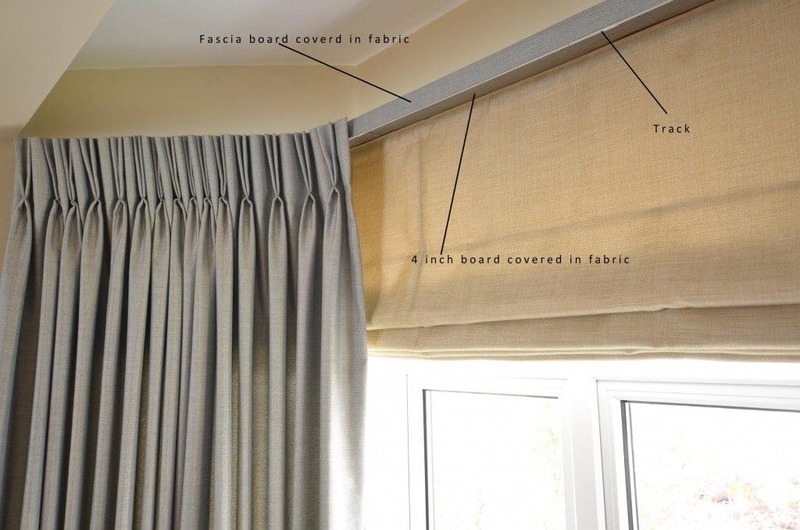 For even more light control, blinds can be added underneath curtains. Whether you need to furnish a whole house, one bedroom, bathroom or study, we imagine and create beautiful homes as unique as you are. Our talented team of artisans is led by interior designer and soft furnishings specialist, Olivera Babic. I consent to Babic Interiors collecting my details through this form.